Epeneri Korovakaturaga was a student at QUT on an AusAID scholarship. As a university student, he was closely associated with the SEE Project and was the cultural ambassador on two student outreach projects that were delivered in Fiji. After returning home, he gained employment in an architectural firm. The opportunity to engage with schools through the SEE Project was an inspiration for him and he wanted “to contribute something back to the local rural and remote communities”. He felt fortunate to have had the opportunity to study abroad. With this background, he felt “duty bound” to step out in the real world as a role model “to inspire and motivate the younger generation of Fiji to aspire for education”. He was clear on why this was necessary but the lingering question and uncertainty in his mind was “how this could be achieved?” Epeneri reasoned the best strategy would be to collaborate and brainstorm ideas with other Fiji students who had studied in Australia and had recently returned home after graduating with degrees in their respective fields. After an Australia Awards alumni function, he approached a few of his colleagues and outlined his ideas on giving back something to our communities. He was very pleased by the many positive responses from colleagues with expertise in various disciplines. Epi found that their level of enthusiasm was very high, and they were more than willing to contribute in any way they could. After a few formal and informal meetings, the SEE Foundation Fiji was established. 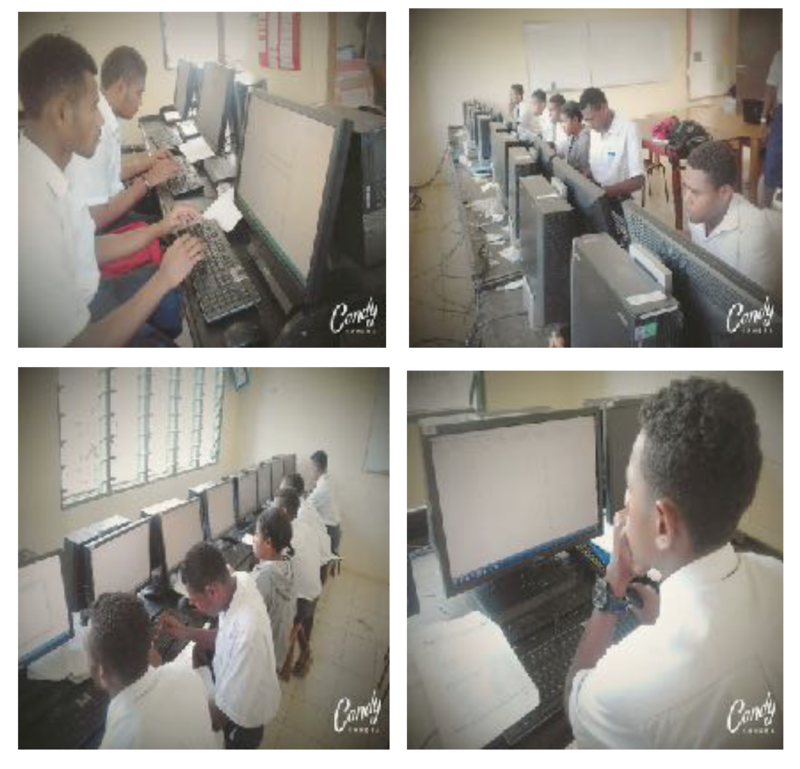 Through the assistance and partnership of the SEE Project in Brisbane, they have been able to assist a few schools around Viti Levu with library books and computers. They have also presented at schools to motivate students. Epeneri’s initiatives could be described as a novel approach to dealing with some of the issues that confront the underprivileged in Fiji. I have not come across any other organisation like the SEE Foundation Fiji, which is steered by a group of young, highly educated people who gained their qualifications in Australia through AusAID scholarships. It is a model that AusAID could promote in other countries. There is no doubt that by founding and affiliating with SEE Foundation Fiji, young people like Epeneri not only become more proactive in supporting meaningful agenda like enhancing the quality of education, but they also develop their professional and social networks. For Epeneri, the SEE Project was an eye-opener. Without his active participation in the project and more importantly in the Sabeto and Somosomo schools, the SEE Foundation Fiji may not have materialised. It is a step in the right direction that will make a difference to the quality of education in developing countries. The Navesau Adventist High School was severely damaged by Cyclone Winston. The SEE Foundation Fiji together with the SEE Project and its supporters in Brisbane were able to provide the school with a set of desktop computers. One of the IT teachers at the school, Narieta Tanuku worked with Epi to get the resources across. In one of the reports, Narieta indicated that all the computer lab had been set up and all machines were being utilised. The classes for his department had “notably improved in the last few weeks” and “all students taking the subject are excited that now they can actually perceive what was theoretically taught all this while”. Of significance was the fact that “computer lab has become an educational hotspot”. • Year 9- Basic Applications like MS Word, MS PowerPoint etc. • Year 11- Basic Applications, Programming and typing Assignments. • Year 12- Basic Applications, Programming, Researching and typing Assignments. • Year 13 – Basic Applications, Programming, Web Designing and typing Assignments. Commendations to all involved and in particular Epi and his team for all their efforts. This entry was posted in 2017, Navesau District School, Uncategorized. Bookmark the permalink.